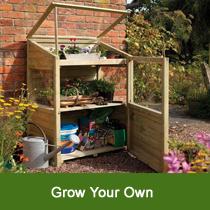 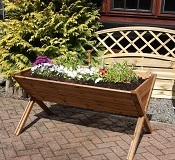 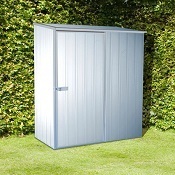 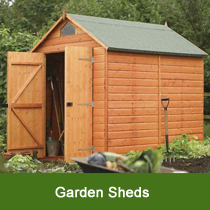 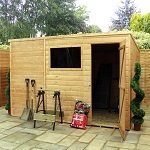 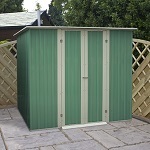 Choose from a range of high quality garden storage units, wooden garden sheds and various other useful garden essentials from the UK`s leading independent supplier of garden storage online. 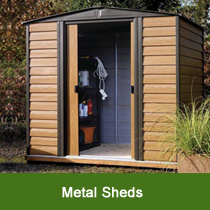 Suitable for a vast array of residential locations, our stunning array of products are available in metal or timber to ensure the perfect match to your requirements. 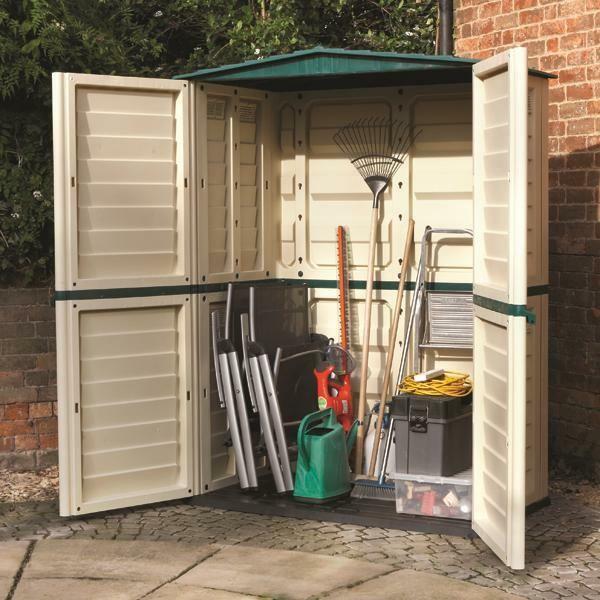 Perfect for housing a wide range of garden and outdoor items such as garden furniture, lawnmowers, cushions and tools etc, the addition of a neat and tidy storage solution will ensure all your valuables remain safe and dry whilst ensuring they are close at hand when required. 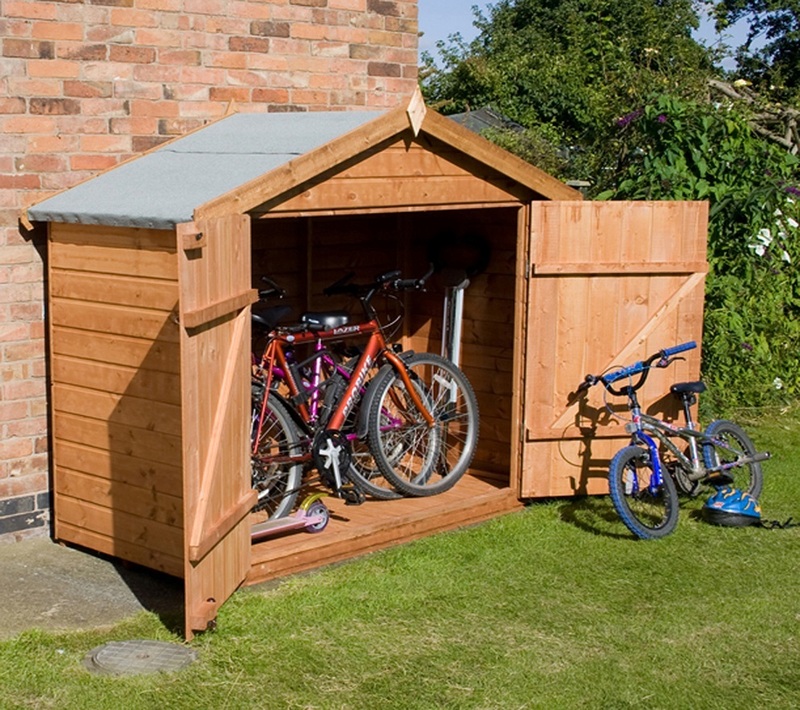 To enable us to offer a huge array of storage solutions, all our products are delivered direct from the UK`s leading manufacturers using their own dedicated delivery vehicles to ensure the fastest possible delivery times of any online retailer. 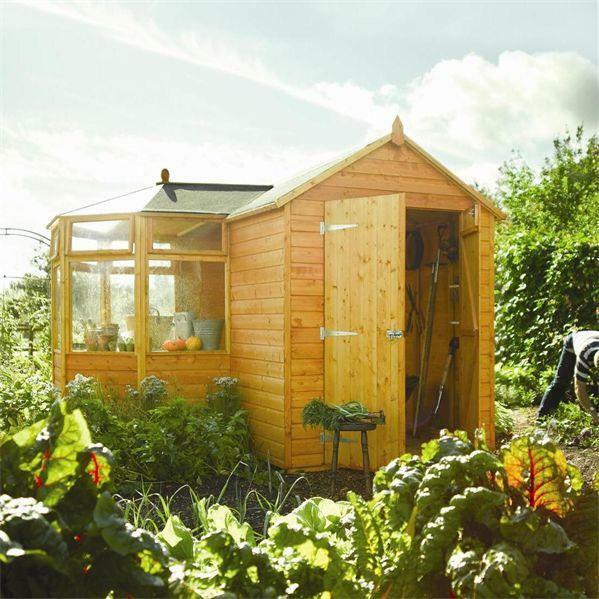 For added convenience, the courier will contact you directly to enable you to schedule a convenient delivery date within the allotted timescale. 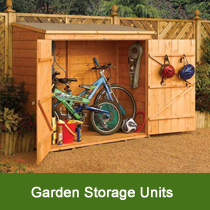 Sourced from the leading UK manufacturers, the entire range of wooden, metal or plastic garden storage units we supply are constructed using quality materials to ensure the optimum level of finish all at an affordable price. 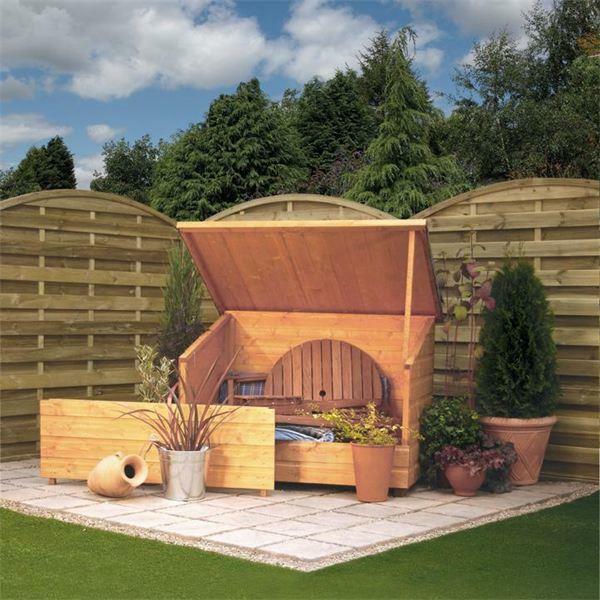 Offering great value for money, all the products for sale will provide years of trouble free enjoyment as they have been specifically designed to withstand the worst of the UK elements. 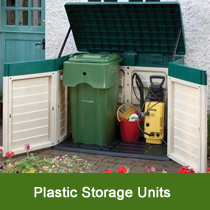 So if it is a simple plastic storage box or a highly secure wooden or metal garden shed you are looking for, you can be sure we will have a storage solution to meet your requirements. 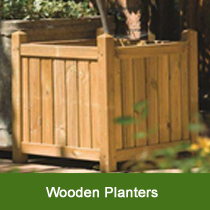 Placing an order on this website is easy using the simple to navigate pages. 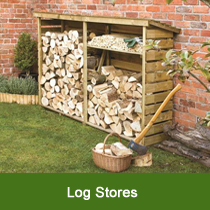 Simply browse the quality products in the relevant categories to find your chosen product, add it to the basket and proceed to the checkout. 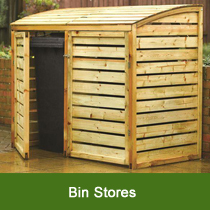 Upon receiving your order we will make the required arrangements to ensure the items are delivered to you in the fastest possible time. 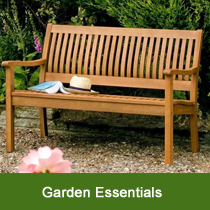 If you cannot find the exact product that you are looking for or require assistance prior to placing an order, please feel free to call us on 0844 804 5577 or send us an email and we will be pleased to offer any assistance or advice that may be required.